Santiago : Mark Gonzalez, one of the biggest names in the Chile squad preparing to bid for glory at the 2010 Fifa World Cup in South Africa, will be doubly determined to rise to the occasion. Why? The CSKA Moscow winger was born in the host nation of this year's finals, before moving back to his parents' homeland Chile as a child. "The memories I have are mainly of school and my home, but I did get to see quite a lot of the country when we went on holidays," he said. "I played a bit of rugby and cricket at school, which are really popular over there. But I was always football-crazy and I think I ended up picking the right sport." Moreover, this will be a first finals for Gonzalez and his fellow La Roja squad-mates, given Chile's absence from the world soccer top table since France 1998. The former Liverpool flyer firmly believes that Argentinian coach Marcelo Bielsa deserves a large share of the credit for their return: "At first we struggled a bit to adapt to the tempo and system of play that coach Bielsa was trying to get across." "But by the end of [South American Zone] qualifying we were playing on instinct, with a well-structured system," he said. "What matters most is that we proved we're a tough team to play and we always go out to try and win." 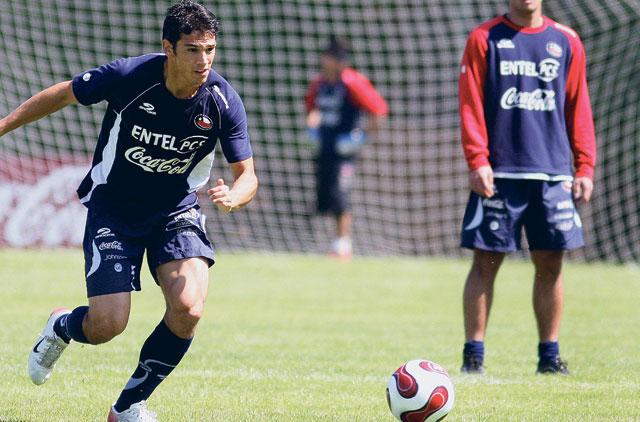 "He [Bielsa] came to Chile to change how we played the game. What we're doing now is totally different to before. There's no other coach like him. He's a perfectionist." "He's very respectful, is a very good guy and is always approachable. When it comes to work he's very strict, very disciplined. "And everything he does is reflected in our play," said Gonzalez of his former Argentina boss Bielsa, who took over the Chilean helm in August 2007. Gonzalez singled out the Uefa Euro 2008 winners Spain as the team to beat among Chile's Group H rivals at South Africa 2010, the others being Honduras and Switzerland. "I think that Spain are the toughest team in the group, no disrespect to the other sides," Gonzalez said. "To be honest, it's going to be very hard to compete for first place but we'll be looking to finish at least second and qualify for the next round. Obviously the games against Honduras and Switzerland will be crucial." However, after Betis' relegation from the Primera Division at the end of 2008/09, the midfielder felt a change of scenery was in order with a view to the World Cup finals. "I was motivated by the chance to play in the Champions League and to fight for the league title, an opportunity I wouldn't have at Betis," said Gonzalez on the reasoning behind his switch to CSKA. "What I'm really after is to be satisfied with our performance [at South Africa 2010], and for the fans to be happy too," said Gonzalez.